What Is A Stock Split? And Should You Trade Before One? A stock split is a tactical decision and action made by any publicly traded company’s board of directors that increases the number of existing shares by splitting or dividing the shares into more shares. At first glance, it is a positive thing to investors and stock shareholders since their number of shares owned will increase. But, in reality, a stock split is not a value adding event. It doesn’t detract the value either. A stock split is just an accounting sleight of hand that increases the number of shares while maintaining the same overall value. The underlying value of a shareholder’s share is not changed at all by a stock split. Nevertheless, a stock split is usually conducted at a time where the value of certain shares become way too high for new investors or are convincingly higher than other similar companies’ stock share prices. This way, anyone who wishes to buy shares from a company is able to do so at lower costs since each share’s value is divided in certain multiples. After a stock split, share prices of companies typically experience a decline in price because their shares will look more affordable and with lower prices and have a preconceived notion of slowing the stock price’s recent value growth. Then again, this is not something to worry about since the low share prices will actually entice more investors, including small investors, to buy shares of stocks from the company. The demand for the shares will then be increased, which will eventually drive up demand for the shares. Also, by conducting a stock split, the company sends out hints to the stock market that their prices are actually increasing and growing to the point where they need to split out stocks in order to accommodate more investors. For companies who are experiencing low share prices, a reverse split which is another form of a stock split can be conducted in order to regain a reputable status in the stock market for low price shares. 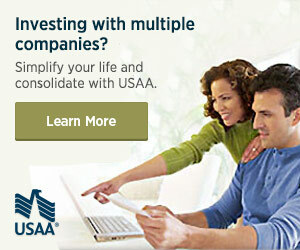 Instead of multiplying the shares by certain multiples, they are divided by particularly set value. So, for example, a company can announce a 1 for 2 stock reverse split which will reduce the number of shares outstanding by half but double the value where no monetary value change has actually taken place. Once again, this is an accounting adjustment with no change in value like a stock split. These are all strategic actions which are taken by companies to entice and appease stockholders. A stock split is surely a good move to offers more liquidity on the high price stocks.